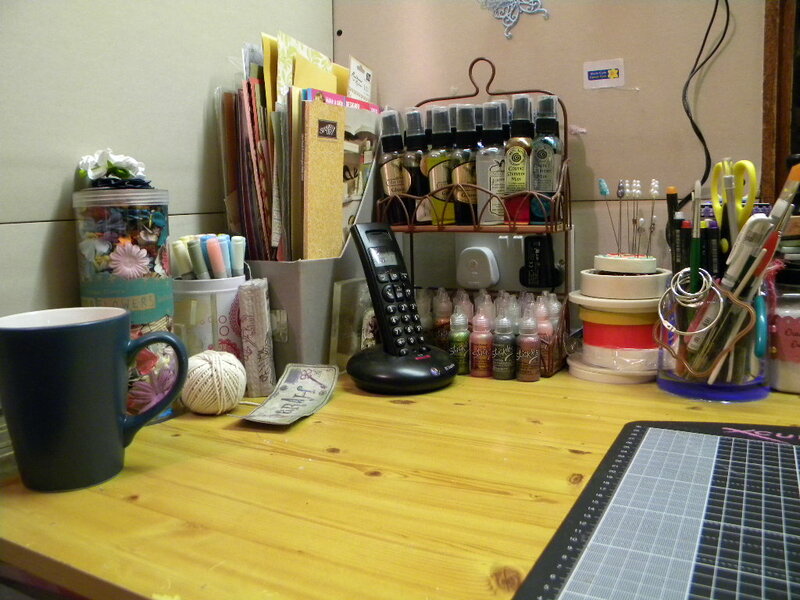 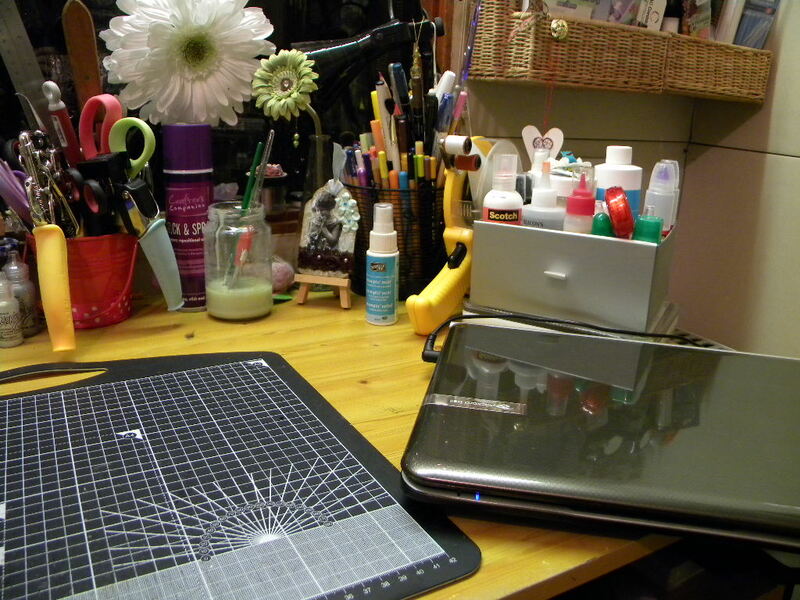 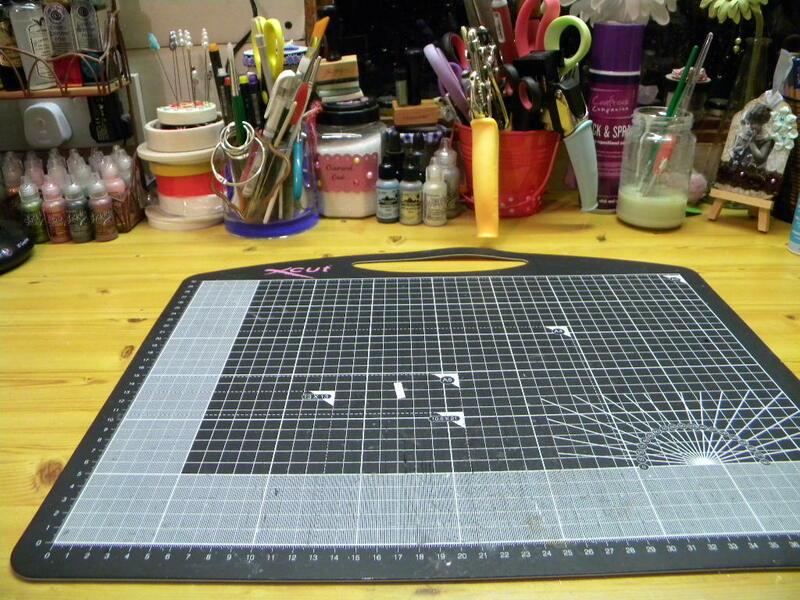 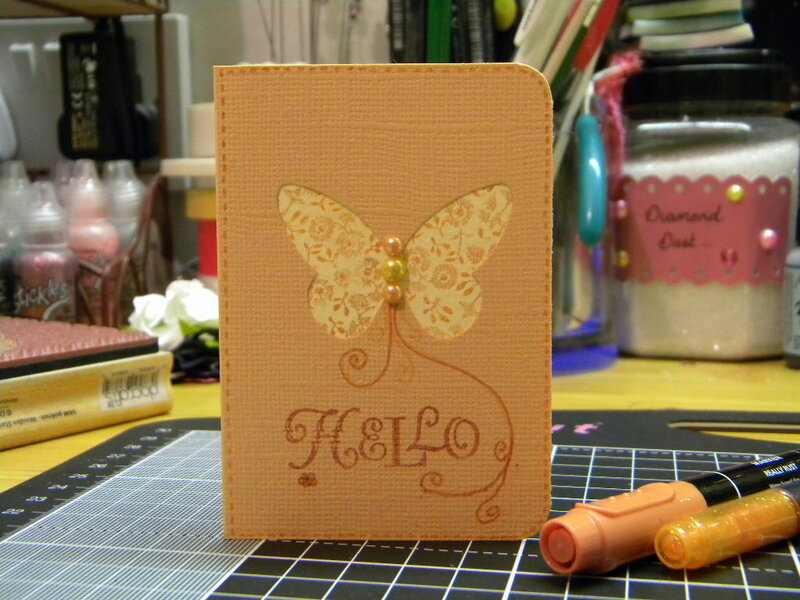 I have challenged myself to use the craft supplies that I have and not to buy any new things for a year… apart from the essential adhesives. 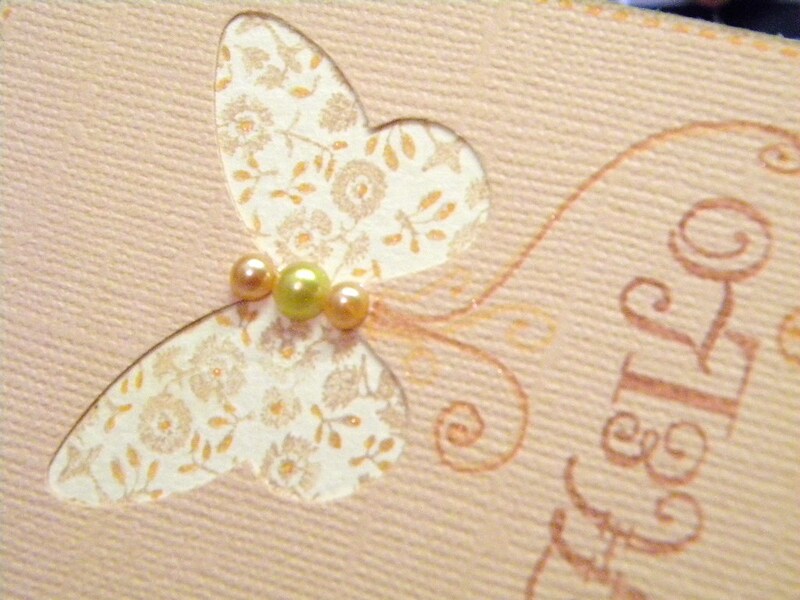 I did it a few years back and I am sure I will be able to do it again 🙂 wish me luck! 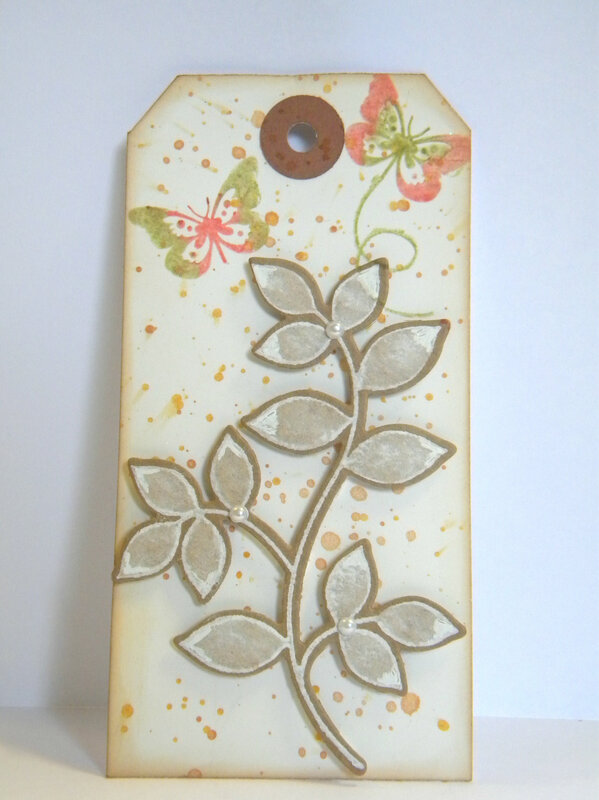 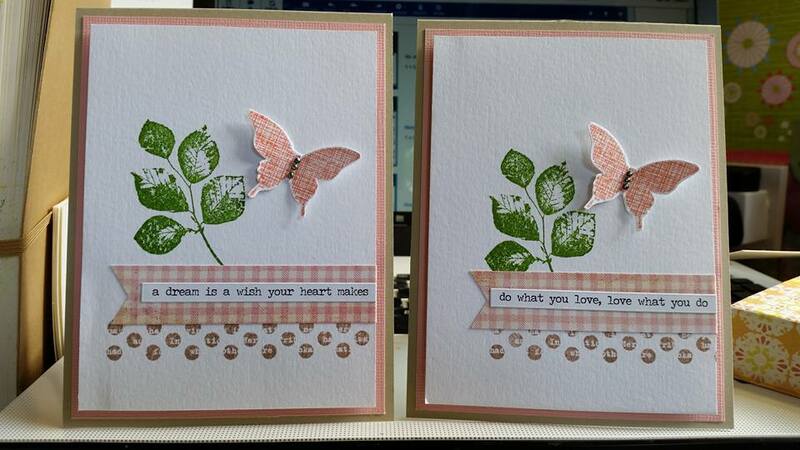 I painted them using 2 different paints, the back being Paperartsy blush and the top filigree layer using silver starlight paint. 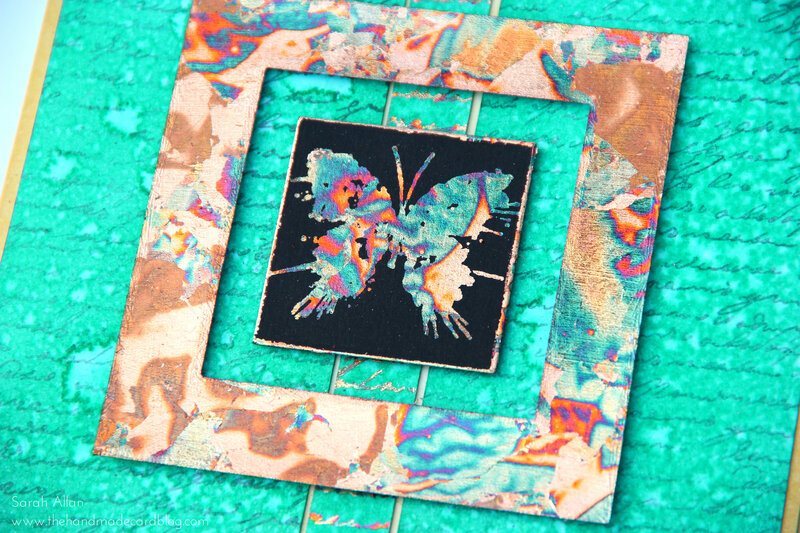 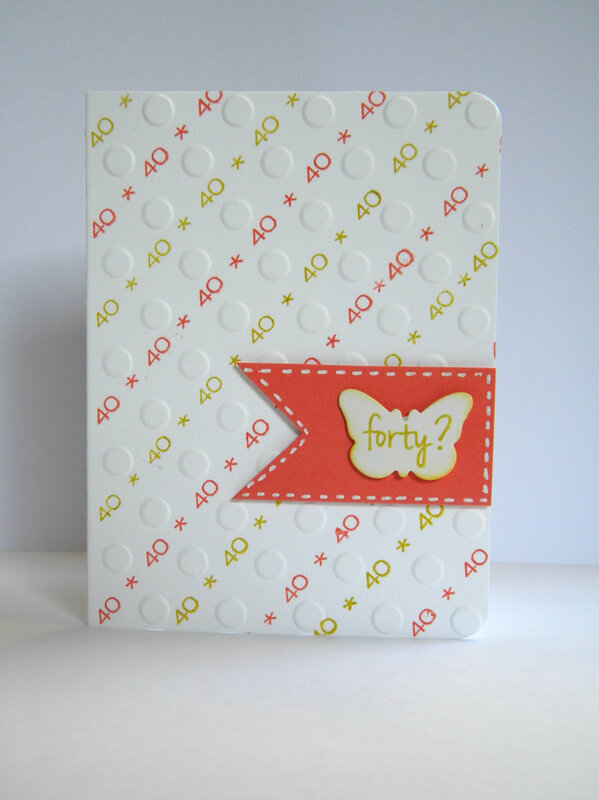 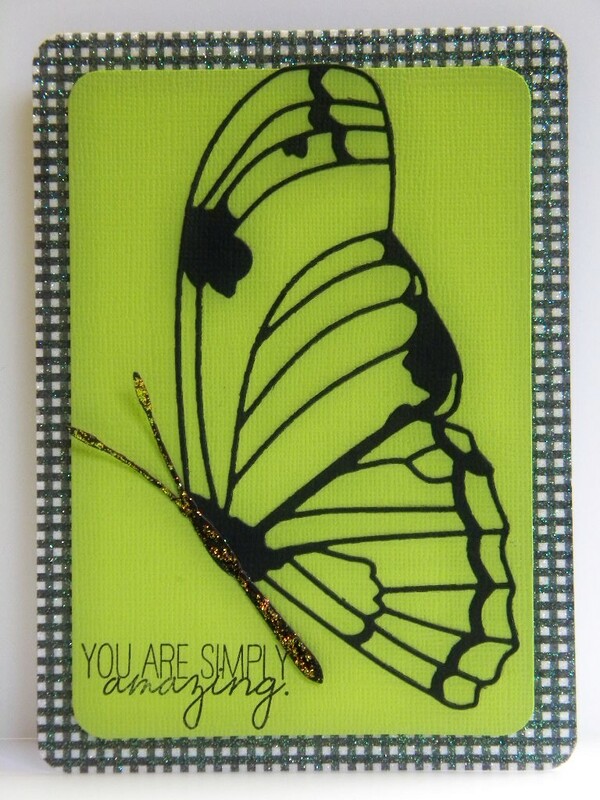 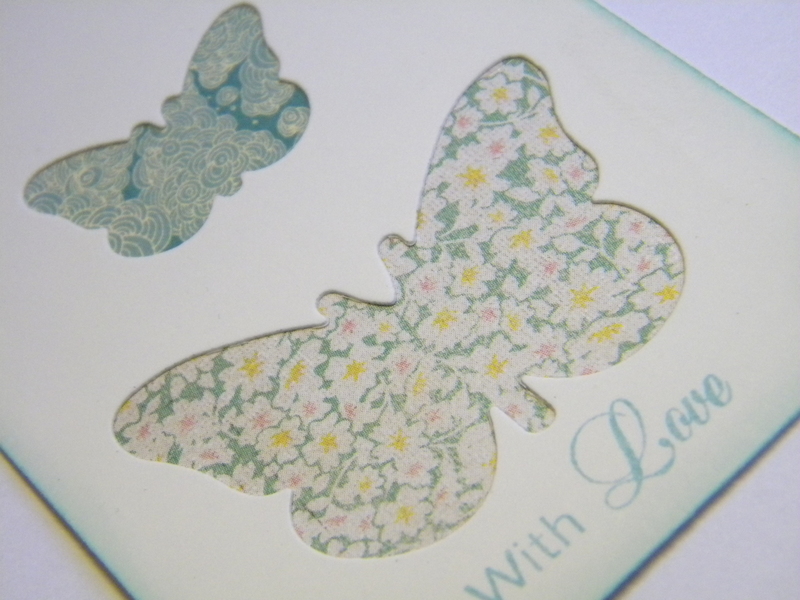 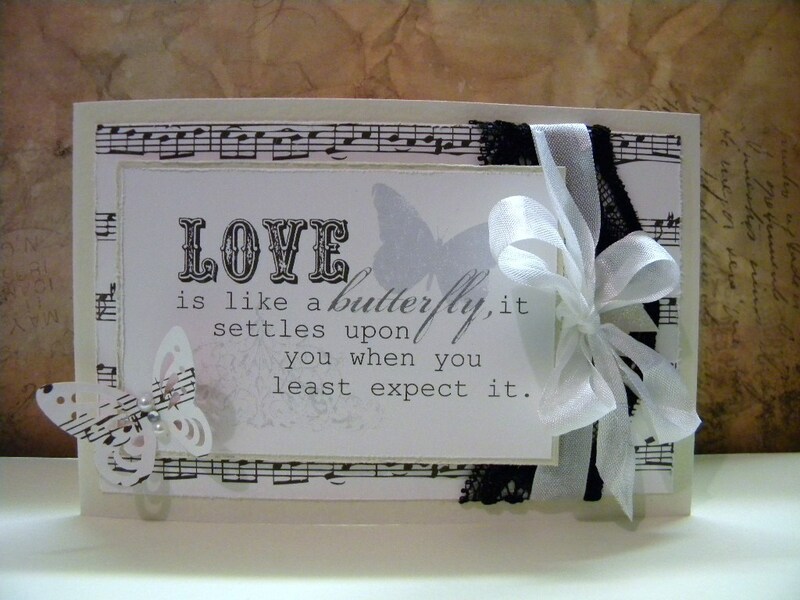 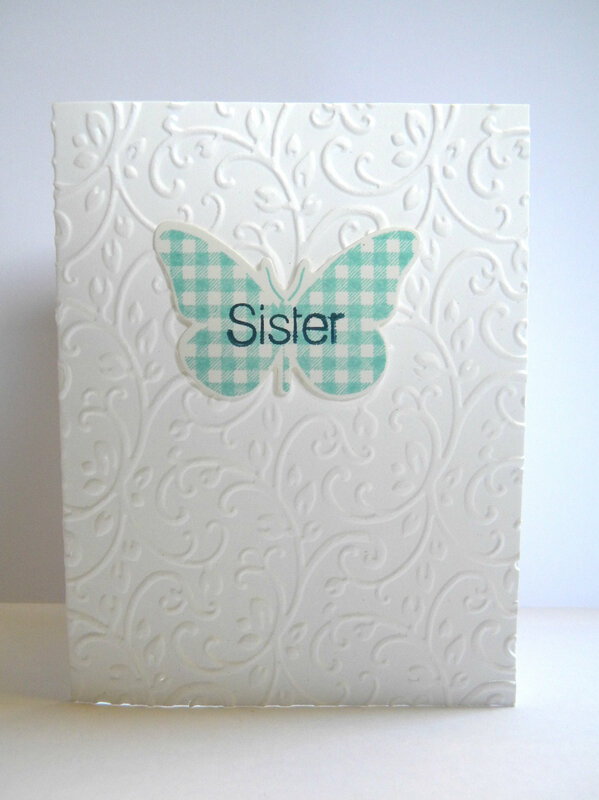 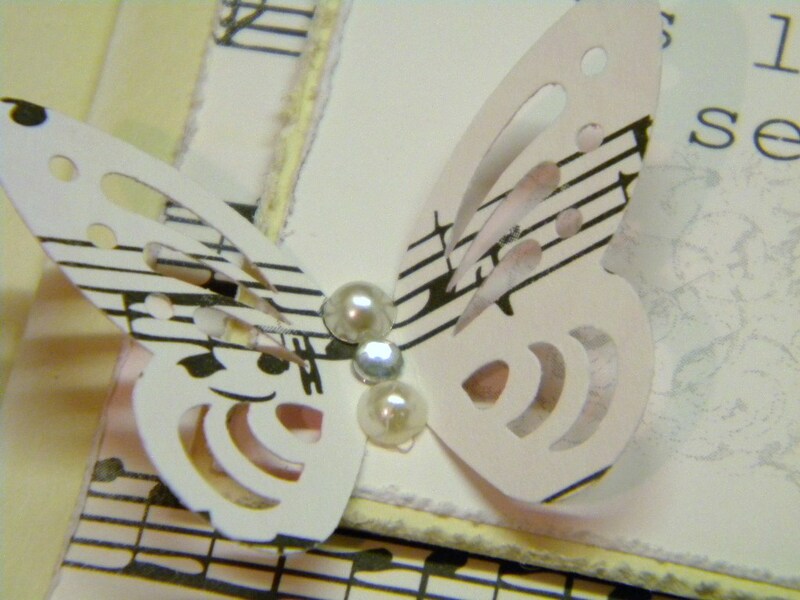 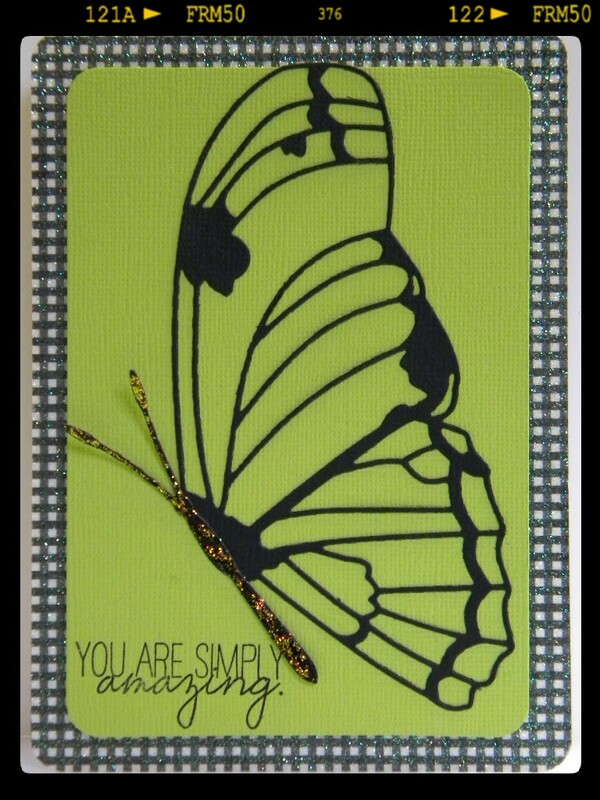 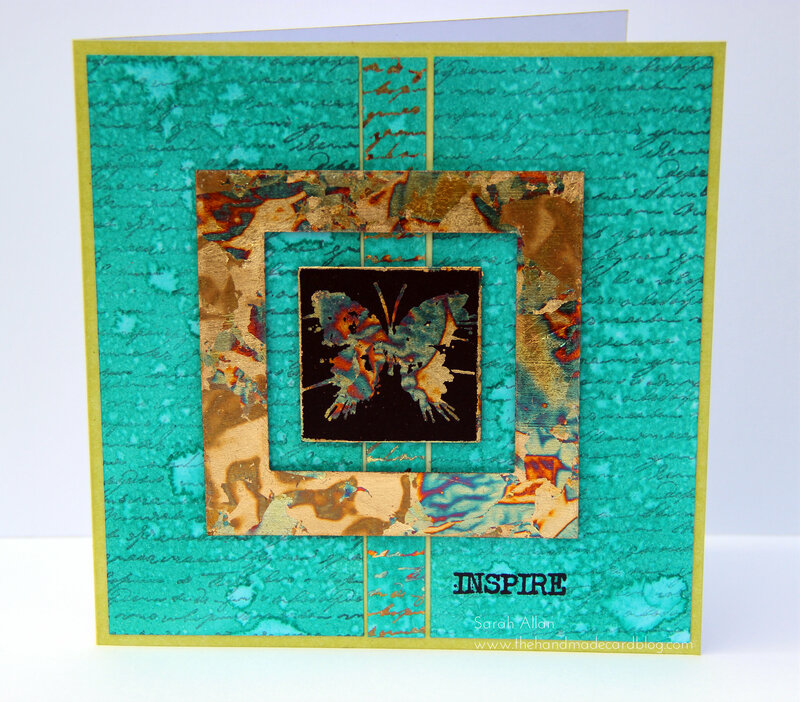 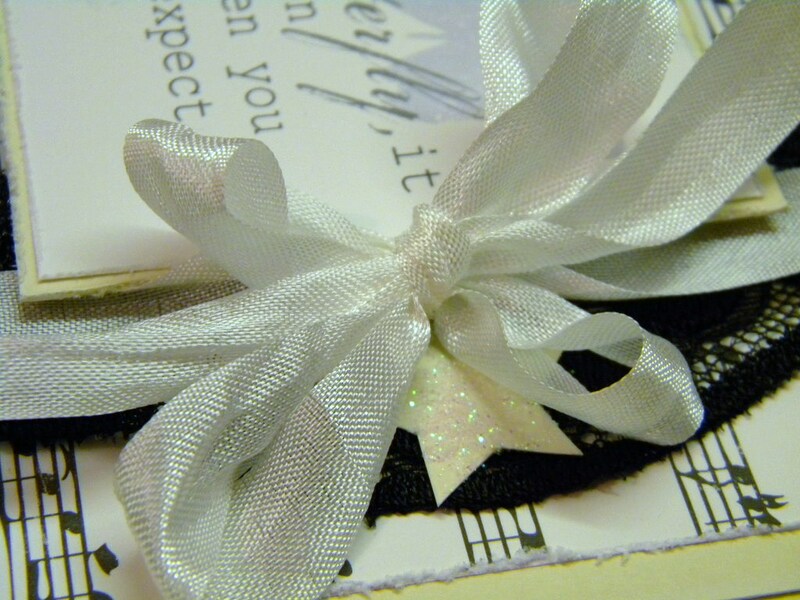 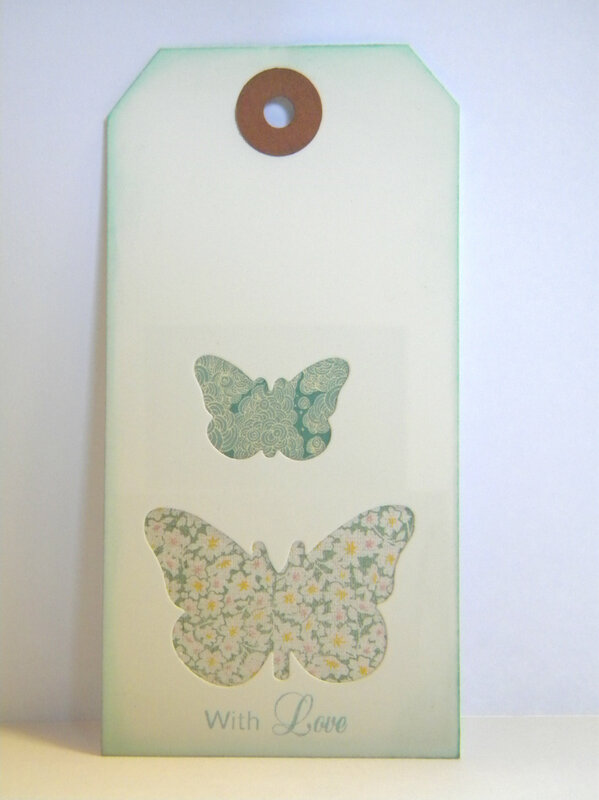 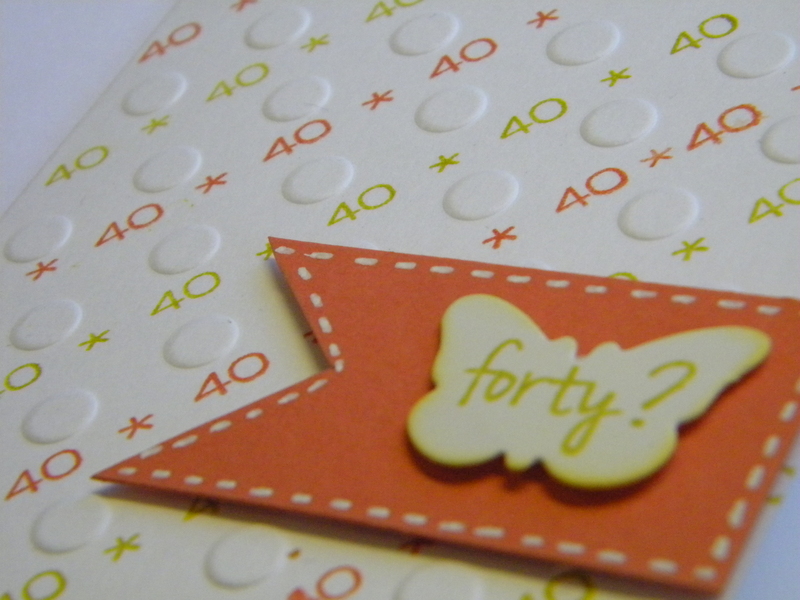 The card below does not have the backing to the butterfly like the card above and it glued directly onto the card. 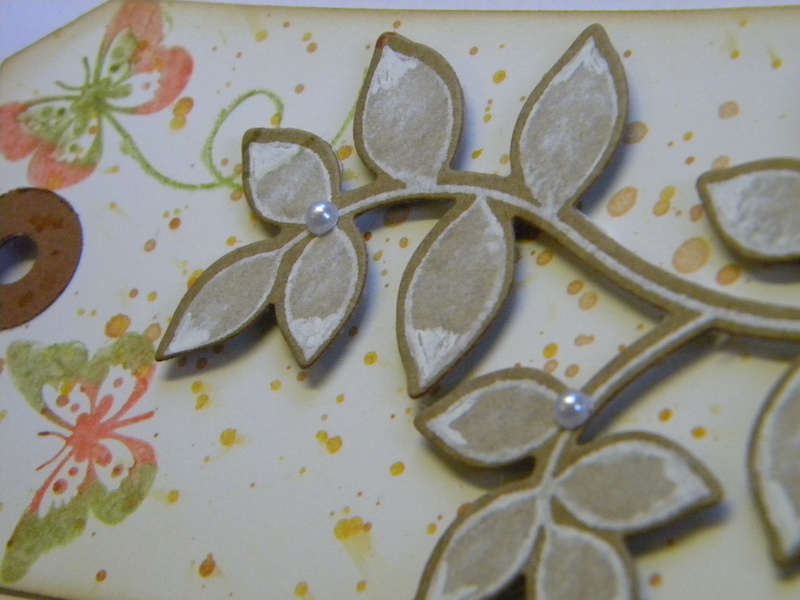 I made this monochromatic card with the lovely papers that arrived the other day from Angel Crafts, I had a peek at their online shop at lunchtime today and they were loading all the new prima papers on, oh my goodness they are gorgeous, especially the botanical one!